We bought and refurbished Graves Light as a private project, so it was a special thrill when the American Lighthouse Foundation recognized our work. 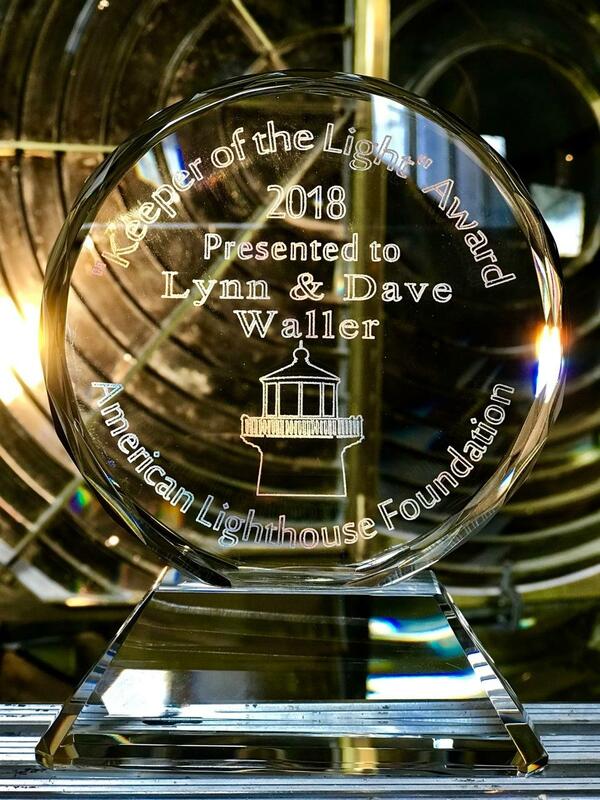 The Foundation has awarded Graves Light and Fog Station its prestigious “Keeper of the Light” award. Keepers Lynn and Dave accepted the award – a crystal trophy reminiscent of a lighthouse lens prism – at the Foundation’s 2018 gala in Kennebunkport, Maine. 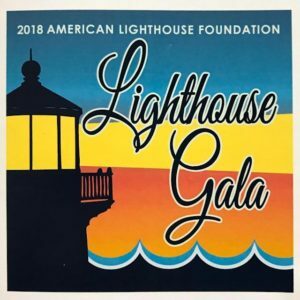 Dignitaries and lighthouse preservationists from around the country attended the event. Pictured left to right: ALF Exec. 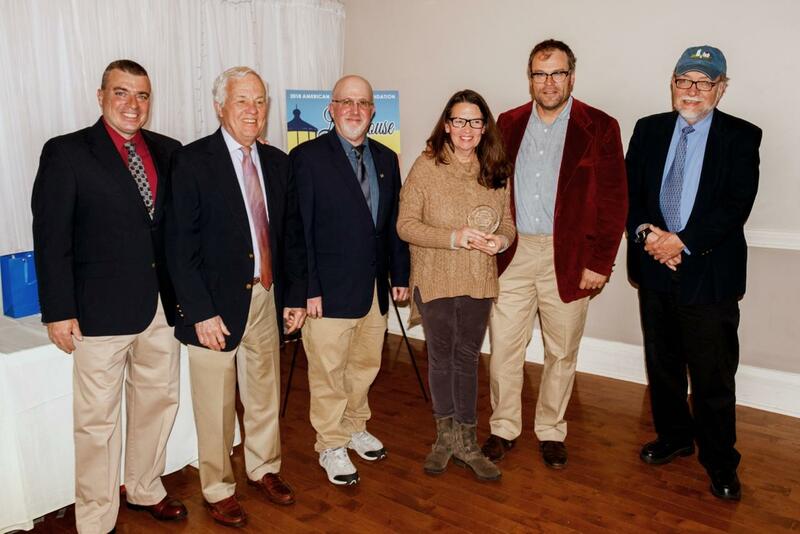 Director Bob Trapani, Jr; ALF 2nd VP Brad Coupe; ALF President Jeremy D’Entremont; Graves Keepers Lynn and Dave Waller; and ALF Treasurer Alan Ells.